From writing tips to dressmaking, Marguerite Kaye, our lovely historical romance author reveals all! Read on to find out about the inspiration for her latest book A Scandalous Winter Wedding, and exclusive character and story reveals for her upcoming releases this year! Find out more in the Q&A below! What do you like the most about writing for the historical romance genre? The challenge of creating strong, independent female characters who sit believably in a historical context. The obvious thing to achieve this is to find a way for my heroines to earn their own money, so they’re not reliant either on family or a husband. There were scandalously few careers open to women prior to the Twentieth Century however, so I discovered very early on that I had to make my heroines ground-breaking pioneers in their chosen field. It’s particularly rewarding to base my heroines on a real historical character. So, I’ve had an astronomer following in Caroline Herschel’s footsteps in Sheikh’s Mail Order Bride, for example, and a mathematician very loosely based on Ida Lovelace in The Beauty Within. Sometimes I place my heroines at the cutting edge – a female veterinarian in The Harlot and the Shiekh, a botanist in The Widow and the Sheikh. And sometimes I simply make something a bit “out there” up – a Regency agony aunt, for example, in Strangers at the Alter, and The Procurer, a society “fixer” come concierge in my Matches Made in Scandal quartet, of which more in a moment. 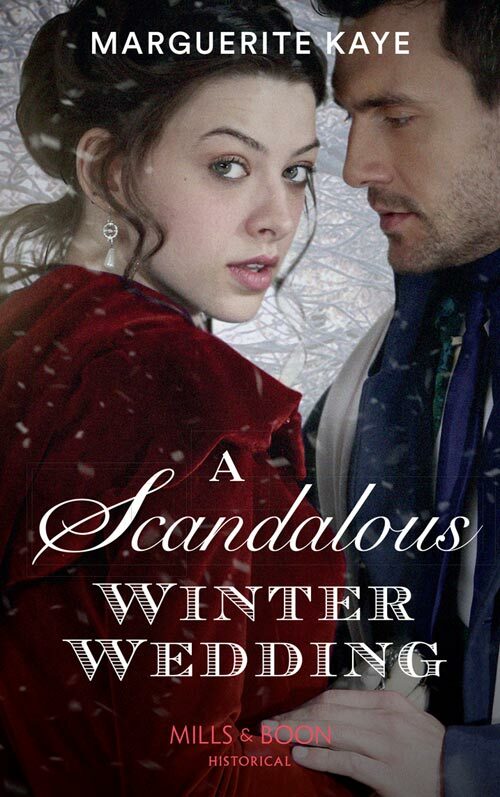 What inspired the story line for your latest book, A Scandalous Winter Wedding? The inspiration for the Matches Made in Scandal series came to me when I was watching one of those vicarious reality TV shows about a luxury hotel (it was research, honest!). The concierge and her little black book of contacts was much in demand, her services highly sought after by the wealthy guests. Power and influence, in the Regency period, was very difficult for a woman to wield, and I was intrigued by the notion of having a historical concierge, a woman who had the priceless ability to make the impossible possible. And so The Procurer (aka Kirstin Blair and heroine of A Scandalous Winter Wedding) was born. The Procurer, Kirstin’s alter ego, appears at the beginning of each of the previous books in the quartet, though you don’t have to have read them all to appreciate her story. As an outsider herself, she helps other women who have been out of society or are down on their luck, struggling to survive in a world determined to trample on them. In the previous books, The Procurer is a facilitator who stays very much in the background, but when Cameron Dunbar walks back into her life six years after a never to be forgotten night, she cannot resist taking on the task herself. But it will require all her skills to help him in his life-or-death quest. How would you describe Cameron and Kirsten from A Scandalous Winter Wedding? Kirstin is a very independent woman who has worked incredibly hard to succeed. She’s powerful, she’s revered and slightly feared by society since she is privy to all its dark secrets. She’s also deeply private and hides behind her alter ego, The Procurer, revealing her true self to no-one. Though she has emotions, they are obscured behind a façade that is intimidating, remote, logical, almost cold. Kirstin uses her Procurer guise in the same way as some of my sheikh heroes have used their regal persona, to keep herself apart, to protect herself, to inspire awe and to prevent anyone getting too close. So in a sense, I’ve used the sheikh trope and turned it on its head in Kirstin. A woman like that needs a very different hero. Cameron Dunbar is a man of honour and integrity, a self-made man who like Kirstin has overcome all sorts of challenges to succeed against the odds, and in that sense, he’s a man that she admires right from the start. Cameron is a man, in fact, who is at a point in his life where he’s ready for commitment. And he’s the first man Kirstin has met, who sees right through all her defences, who admires her for what she is, but understands her vulnerabilities too. The big question is, whether Kirstin will ever believe that being “known” is not a weakness but a strength. A Scandalous Winter Wedding is the last in the series of Matches Made In Scandal. What did they all have in common and what did you enjoy the most about writing them? Essentially all four books have Cinderella heroines fighting for a second chance. All of my heroines are outsiders. All are women who have been cruelly or unfairly treated by society, and who are desperate enough to risk everything to succeed in the assignment The Procurer offers – and if you’ve read them you’ll know that what is asked of them is very onerous indeed. These are no ordinary heroines, the dilemmas posed are no ordinary dilemmas, and I thoroughly enjoyed the challenge of trying to incorporate a more significant plot component than usual, without compromising the romance. What is your writing routine? Do you have a favourite place to write? I’m a morning person, so I tend to start very early, about 6.30 am. I write with my laptop on my knee facing out of the lounge window of my house, which has a spectacular view over the Clyde estuary on the Cowal Peninsula in Argyll, on the west coast of Scotland. There’s a constant stream of ferries, warships, cargo ships, liners and yachts to distract me. And if you follow me on Instagram or Twitter, you’ll see that I am distracted often enough to post a good many pics. I’m addicted to working out with Jillian Michaels, and try to do that three or four times a week – it’s an excellent antidote to being curled up on the couch most of the day, and has the added bonus of working off lots of calories, since I also consume a lot of them, especially over the Festive period. I love to cook and I grow some of what I eat, though the deer eat more of it – they view my garden as an all-you-can-eat buffet. And since I bought a new sewing machine a couple of years ago, I’ve rediscovered my love of dressmaking, which would definitely be my second career choice after writing, since I’m sadly too old now to become a ballet dancer. What advice would you give to aspiring historical romance writers? Remember that you’re writing a romance and not a history book! On saying that, for me the historical context should play a key role in driving how the characters behave, so that they are not modern people acting out a romance against a historical backdrop. Quite often, what I’ll do when I’m planning a book is to take a modern dilemma and put it in a historical context. For example, what do you do if you are trapped in a toxic relationship? Today, the obvious answer is divorce, but in the Regency, divorce required an Act of Parliament or an annulment (which could entail all sorts of horrific medical examinations). I gave that particular issue to two very different heroines, in Outrageous Confessions of Lady Deborah, and Rumours that Ruined a Lady, and to say that I tied myself in knots trying to find them a happy ever after is an understatement! Most importantly, for any story of any genre, you need to know and like your characters in order to make them come alive. And finally, if it’s slow going that usually means there’s something wrong. If you don’t like writing it no-one will like reading it. Don’t try to just write your way out of it. Take a step back and find and fix the problem. Can we have a hint about we can expect from your upcoming books? You can have an essay if you like! I have two new projects underway. First is a marriage of convenience quartet, Penniless Brides of Convenience, featuring three sisters and their aunt. I must confess, I didn’t realise when I dreamt up the idea how difficult it was going to be to come up with four different and believable marriages of convenience – because you’d have to have a rock solid reason to get into a marriage that was basically loveless and that you couldn’t escape. 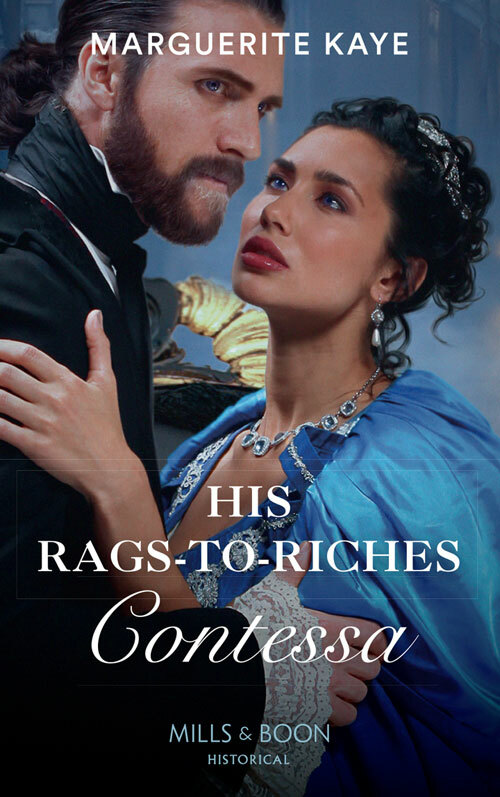 In The Earl’s Countess of Convenience (out in May this year) it’s a question of inheritance (at least on the surface). In A Wife Worth Investing In (released in June this year), I have combined two of my favourite things: cooking, in the form of a Regency female chef; and the film An Affair to Remember. At the moment, my third heroine is a canal builder, but all that may change as I start to write her story. The other project I’m working on is a Cornish Christmas duet with Bronwyn Scott. We’ve worked together before on the Brockmore stories (Scandal at the Midsummer Ball, Scandal at the Christmas Ball) and had such fun creating a shared cast of characters that we leapt at the chance to work together again. This time it’s a village in Cornwall near Penzance, with both (very different) stories sharing a happy ever after at Christmas. It’s lovely to be writing a Christmas story over Christmas, but you’ll have to wait until next Christmas to read it. Can you tell us a bit about how you became an author? I’ve always loved to write, but never imagined I’d make a career of it, and for reasons that are now obscure to me (since I studied law at university), chose a career in computing instead. It was every bit as boring as it sounds, so I distracted myself by studying history through the Open University, and when I’d run out of degrees, plumped for redundancy, thinking that I’d open a small hotel or restaurant. A belated gap year traveling Europe convinced me that was too much like hard work, so instead of cooking, I started writing about cooking. Then I started writing some articles. Then I had the genius idea of writing the kind of books I was brought up reading – Georgette Heyer. And more than fifty books later, here I am, still writing and still loving it. Get Marguerite Kaye’s latest release, A Scandalous Winter Wedding here!